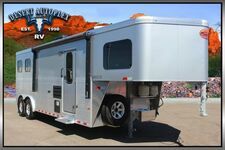 Aluminum Framed Laminated Sidewalls, 102" Wide Body Construction, Powder Coated Steel I-Beam Chassis, Two Tone Partial Painted Front Cap (FW), Large Entry Assist Grab Handle, VIEW MORE, EZ-Lube Dexter Axles, Marine Grade Speakers, Huge Tinted Safety Glass Windows, 18K Hitch Pin (FW), Collapsible Exterior Ladder (FW), Black Tank Flush, Full Walk-On Roof, Rain Gutter Drip Spouts, LED Exterior Lighting, Radial Tires w/ Nitrofill, Satellite Prep Main TV, Hot & Cold Spray Port, and more! LED Interior Lighting, Full Height Ceilings, Plywood Decking, Beauflor Tile Pattern Flooring, Shaker Style Cabinetry, Full Extension Ball-Bearing Drawer Guides, Brushed Nickel Hardware, AM/FM/Bluetooth Stereo, Stainless Steel Galley Sink, Large LCD Living Room TV, 35K BTU Furnace, 12V Battery Disconnect, Ducted A/C & Heat Throughout, Gas/Electric Water Heater, 5,000# Steel Reinforced Tie Downs, Dual Electric Happi-Jack Beds 54" x 80" (Std. 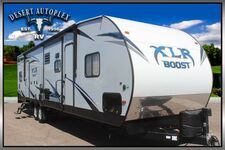 27KW), and more! 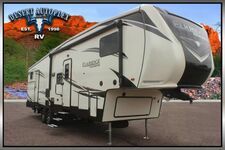 13.5K Ducted A/C, Spare Tire, Blackout Features, Aluminum Wheels, Premium Graphics, Fiberglass Caps (FW, TT), Electric Stabilizing Jacks, Power Recliners with USB Chargers, Upgraded TT Furniture, Stainless Steel Appliances, Enclosed Underbelly, Solar Charger Input, Night Shades, Hid-N-Screen, Wainscoting in Garage, Hidden Hinges on Cabinetry, Shaker Style Passage Doors, Radiant Roof, Floor, Slide Out, oor, Garage Floor, Dual Front Insulation, 50AMP Service & Gen Box, and more! LG Solid Surface Kitchen Countertop, N.O.S Red Light Under Entry Steps, Rear Vision Camera Pre-wire, Key Alike - Single Key Lock System, MORryde Zero G Ramp Door, MORryde CRE Suspension Enhancement System, MaxxAir Power Roof Vent Bathroom, Red LED Exterior Marine Grade Speakers, Upgraded Electric Awning with LED Lighting, Solid Step Main Entry, Main Entry Door Friction Hinge with Window and Upgraded Assist Close Screen Door, and more! 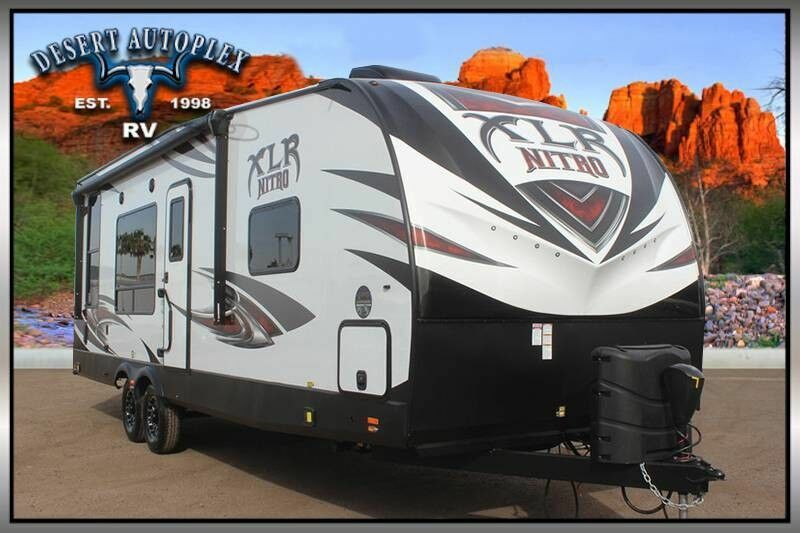 You do NOT want to miss your chance to own this amazing 2018 Forest River XLR Nitro 25KW Toy Hauler! 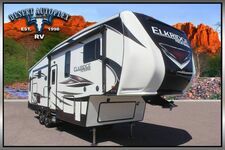 This toy hauler is built to impress! Financing is always available on approved credit, and we will even walk you through your new purchase to show you how everything works if you're not familiar already! 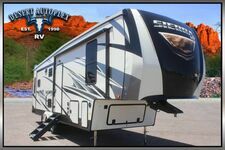 Call our professional sales team toll free at 1.888.385.1122 today, HURRY before it's too late!